TBC rejoices with the acceptance of Jonathan Sta Rita for church membership last Sunday, April 13, after a congregational interview. Jonathan, gifted with eloquence and a host of other talents, smoothly sailed along the many questions asked by the members. 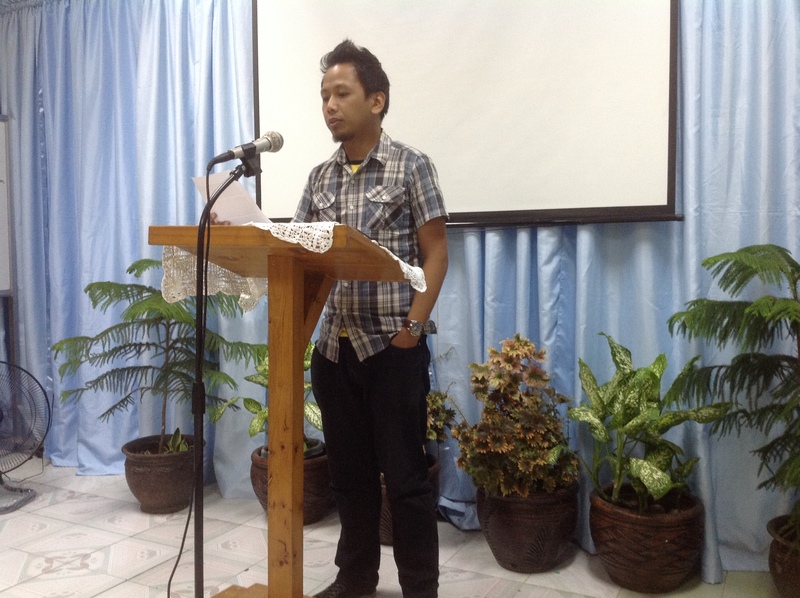 Jonathan was a former youth pastor of Triumphant Church in San Pablo City. He said he first felt a spiritual awakening when he was seven years old. He grew up in the teachings of a Pentecostal church where his parents are actively involve. When the Lord revealed to him the doctrines of grace, he struggled so much since he could not reconcile what is being practiced in the church and what the Scriptures say. Finally, he transferred his attendance to TBC and has been attending for almost a year. Even if he was not yet a member, his zeal for the work is already evident. And rightly so, for he admitted that his heart is directed towards the ministry. Presently, he studies at Grace Ministerial Academy. Welcome Jonathan to your TBC family. May the Lord mightily use you in His vineyard.